Well everyone that gets out on the field has to have a glove. 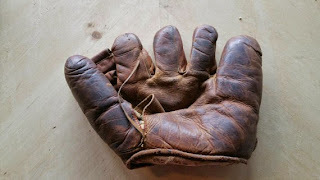 This is really a well used glove that PrelovedPromenade has. Looks well used and loved. 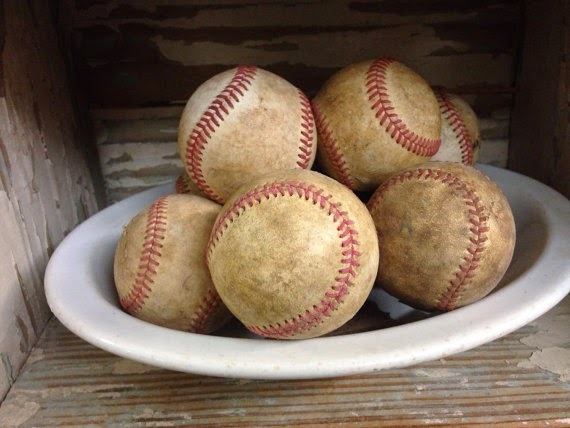 And of course you have to have baseballs to play baseball....LOL! :) SouthernGilt has a whole bowl of them here. Then there is the bat. Many bats have been broken over the years I am sure. Here is a vintage bat that looks like it has hit a few baseballs. 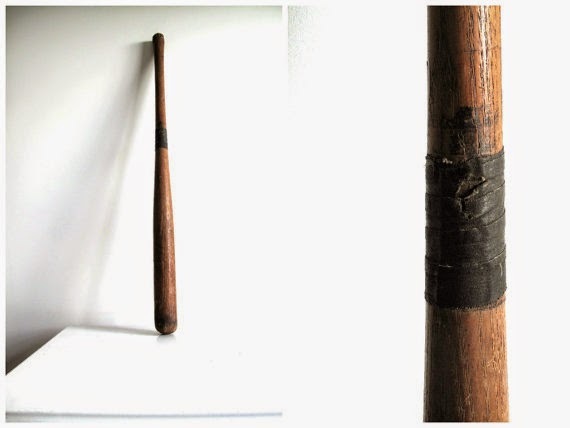 SnapshotVintage is where you can find this bat. When I was kid we collected and traded baseball cards all the time. I am aging myself, but how many of you remember the stick of pink bubblegum that came in the packets of baseball cards. 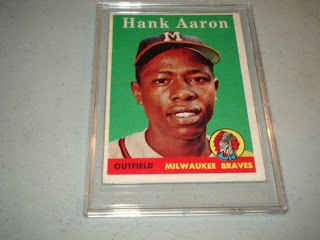 If you want to see a great collection of vintage cards check out Sportcardsandthings. They have a lot of them. Looking back at all the baseball items makes me kind of sad for times gone by. Those were such great summers. Well not that summer now aren't great too with all the fishing, camping, 4 wheeling, beach-combing we do are great too. If you get a chance.....head on out the the old ball field.